So. I may have hit a nerve with Monday’s rambling post about the meaning of this blog….Who am I?…Why are we here?…What is the purpose of existence? I won’t have the answers for a while, if ever, but what came out of that post was a pretty cool conversation about a lot of stuff that has nothing to do with me, which makes me feel better about using this platform for such a self-indulgent romp through the cerebral wilderness. Anyway. Through the comments and emails to follow, the common thread that keeps appearing is not one related to my blog, but our blogs. I don’t assume any of my readers are bloggers, but clearly some of you are, or are thinking about becoming one, or are considering using blogging and social media to expand an existing online business. Since the issue here is expansion, I thought this might be a great time to share some of my favorite blogging tips from other people. Things I have found super helpful over the last four years. Things I wish someone had told me sooner. Disclaimer: The sources credited below were not researched for this post. Every single one of these links was bookmarked or pinned by me because I found it extremely useful. Granted, I don’t follow allllll the advice in these posts, but I can tell you I have learned from each one of them. In all this, the thing to remember is that the internet (as we know it) is new. Real new. There is no right or wrong way to do it, so don’t let anyone tell you that their way is better than yours. Nobody is an expert (yet), we are all just enthusiasts. You want to start a blog but you are intimidated by the prospect of setting one up. 1. Video tutorial how to start a Blogger based blog, start to finish. You will publish your first post in under 30 minutes – it’s that easy. And totally free. The only thing you need to start is a Gmail account, but that is free too. 2. Video tutorial how to start a WordPress based blog, start to finish, including purchasing a custom domain and host server. Will take a few hours (but 80% of it is just waiting for the server to populate) and cost under $35 to get started. Tangent: What is the difference between Blogger and WordPress? This is a complicated question and not one I have the full authority to answer, but let me ask you this; Are you comfortable with new technology? Do you understand the difference between a blog, a website, a post, and a feed? Do you use an RSS feed or blog reader like Blog Lovin or Feedly? Do you not get overwhelmed when tech devices change or upgrade? Do you use more than two social media outlets (Facebook, Twitter, Instagram, Pinterest, Vine, Tumblr, etc)? Are you one of the five people who understand how to use Google Plus? Do you understand why comic sans is evil? If you answered yes to more than half of those questions, go for WordPress. Everyone else stick to Blogger – it’s much more user friendly. WordPress is optimized for more customization and nifty things you don’t have to worry about, but Blogger is pretty badass too. This site is a blogger site, but I use WordPress sites for work. Both have their benefits. If you find yourself overwhelmed by the comparison, that’s probably a sure sign to stick with Blogger. There are other platforms like Typepad, Squarespace, and Tumblr but they haven’t picked up the same traction as these two, and if you ask me, that’s for good reason. You have a blog but you don’t put time into maintaining it. You want to build a rhythm and expand your audience but you don’t know where to start. 3. The template of a “perfect” blog post Obviously, the “perfect” part is up for interpretation, but I find myself using this outline when I know I need to write a post but don’t have the time or patience to go about it in a thoughtful way. It’s like Bisquick for blogging. 4. 10 Ways to get more eyes on your posts. 5. 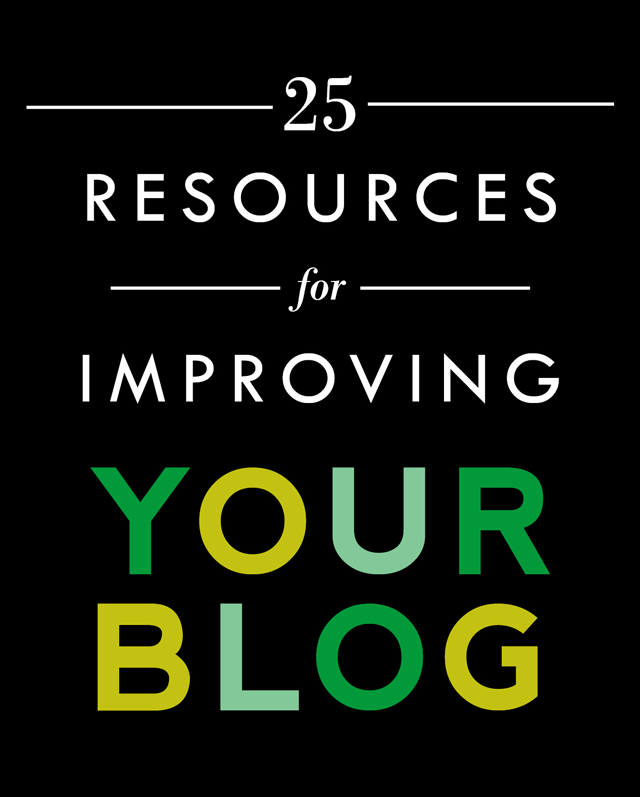 52 Things to post about when you don’t know what to post about. Sidebar: Crafterminds, the site I just linked, is geared to craft bloggers (oodles of good stuff if that’s your genre, especially for beginners), but I think the guts of those 52 prompts are pretty universal to bloggers of all stripes. If I was just starting out with blogging, I would take that list of writing prompts (and here are a bunch more), then go on a 30 day blogging binge. Post something every day for 30 days. No quitting. Some posts might be just a picture and a photo caption, others might be a lengthier sort of opus. A 30 day bootcamp will shake out all the nerves and anxiousness about tech issues, and at the end, you will know your rhythm. You’ll know what you like blogging about and how often you want to blog about it. That 30 day initial investment is the key. 7. 12 Things to do after you have written a blog post. 8. For creative/crafty bloggers – Sites to submit your work to. 9. How to get noticed as a new blogger. 10. 10 Tips for Search Engine Optimization (SEO). You run a successful blog and post on a regular basis. Your blog gives back to you, either by way of personal catharsis, feedback from your peers, or revenue from your audience. You have good thing, but you know it could be better. Dude knows what he is talking about. His advice really is not specific to bloggers, so if you own a small business, or work in marketing or PR, you are going to want to check him out. 12. 13 Blogging Stats you probably don’t know but should. 13. How to manage your social media in 30 minutes a day (I don’t buy the 30 minutes, but 60 maybe). 14. 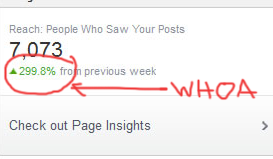 Double your Facebook likes in 5 minutes a day. 15. Double your Pinterest followers in 5 minutes a day. 16. This is a good lookin’ media kit. 17. A great infographic on how to get more pins and repins. 18. 15 Productivity tips from prolific writers. 19. How to foster a loyal blog following. Q: Do you know your average return rate off-hand? In the long run, that number matters more than pageviews. Food for thought. 20. How to keep your inbox under 5 emails (I dream of this). 21. A candid breakdown of how one decorating blogger makes money. Good for bloggers of all levels and areas of expertise. 22. 10 Blog Layout Tips. This comes from A Beautiful Mess, a blog devoted to every kind of visual content topic on the planet, and yet never looks overwhelming.They know what they are doing. 23. The anatomy of a perfect landing page. This is more geared toward business-based websites than a blog, but it’s excellent food for thought in prioritizing what goes above the fold. After you see this outline you’ll start spotting it all over the place, including some of the highest traffic sites on the planet. It works. 24. 7 Mistakes even nice looking blogs make. 25. And if all else fails, if you want to hire someone to pimp your blog, Nellie Bellie is for hire. These two ladies know their stuff and are great at breaking it down in bite-sized chunks. They can take your thump of a blog and turn it into a pa-pow! Side note on hiring people: If you are considering contracting someone, anyone, to upgrade your blog, DO YOUR RESEARCH. I actually hired someone else to do some work on my blog last fall. Long story short: it was a disaster. I spent months waiting in line only to be ignored, then ignored again, then after much pestering, found out this person never had the time or qualifications to handle my site in the first place. So now I’m stuck; do I spend more money to hire a lawyer to get it back, or do I let it slide? I don’t know, but I have learned my lesson. Moral of the story; even when you think you know everything about something, and you are going about something in a thoughtful way, you are probably missing out on something pretty basic. Whatever the something is, there is a decent chance we covered it in one of the links above! « Oprah, Eat Your Heart Out. Dude. I cannot express to you enough how amazingly helpful this was. Thank you sosososososo much! I’ve been on total overload researching and implementing all of it! GAH! Thank you! I’m glad. Hope this keeps you busy for a while! Yup, it’ll do that. And honestly, half the sites I linked to have endless other resources if you rummage around a bit. All those folks producing infographics really know their stuff. This seems to be the Definitive List. I think you should tell everyone who the person was who took your money and never followed through. Just protection for all your readers. One suggestion I have is not to have stupid looking fonts. They are too hard to read. Also, the point about the old posts is So True. Many blogs do not have archives, or if they do, they are too hard to navigate. If you want me to read your stuff, make it a little easier. Agreed about the archives — when I find a new blog I like to hopscotch around their past posts to see if I want to stick around. I know people like to use their sidebars for adspace, but gosh, there is room for all! And I very nearly linked to that web developers site. I actually had it linked than unlinked it. I really hope she does the right thing. I don’t want this to get ugly in public — you guys don’t need to see that. Thank you for sharing my infographic! Lots of great resources here. Thanks for making it in the first place! As in giant love, and squishes (of the benign variety, of course) for your vote of confidence!! We think we’re pretty darn good at what we do. But, it’s always great to get loved on! OMG, this is so inspiring! But seriously, I am going to need a full week to really read and digest all of this information, it’s like a booster seminar for run down bloggers like me (so many thanks for taking the time to corral this stuff together). It could take a while 🙂 Have fun! Great list. I’m going to enjoy looking through them!!! Thank you so much for linking to my post about blog design. I really appreciate it! Thanks for sharing this, there is some great information here. I would add that if you’re a newbie you should give yourself time to figure out what your blog is really about. It can take time to discover which of your interests are easy and fun to blog about – and which topics people care to read about! Much needed resources! Thank you for posting! This list looks fabulous! I have been procrastinating about a blog for a while now – I know what I want to blog about, have some posts written already, but got stalled (scared??) I will read through these tips and get going! Thanks! Just found this post by way of a Blog Clarity “newsletter”. (Sidenote: LOVE Melissa Culbertson! Now….I love YOU!) Wow! What a great set of resource info all in one place! I have 16 tabs open now and can’t wait to dig in! So much info for my personal blog and my business website. Thanks for sharing! Thanks for this! Learning to blog can be pretty overwhelming, and I’m wandering somewhere in between the last two categories 🙂 This is such a great list or resources, thanks for putting it all together for us! Thank you so much for this article! This is so helpful and I appreciate the “tiers” you’ve set up to organize this information. There’s so much out there that it helps to have this info curated a bit. Thank you thank you!!! AMAZING! This is super helpful, Thank you! a “charitable foundation created to focus, encourage, and demonstrate humanist generosity and compassion.